As an eleven years old, my favourite thing is the world was being with my three best girlfriends. We were the class geeks, and chose to spend our lunchtimes away from the hustle and bustle of the playground and other kids, sitting in the Hawthorn trees at the front of the school, laughing and playing, in a magical world of our own. Much later, in my late twenties/early thirties, when I developed a series of chronic digestive challenges, I rediscovered the deep joy of being in circle with sisters. I found that whenever I left a women’s circle, everything felt more possible. I was softened, my heart a little more tender, my spine a little more erect and my ability to ride the symptoms and discomforts of the day expanded and enlivened. Last winter, my colleague Frances and I decided to re-vision our retreat company, Living from the Heart. We realised that our shared passion – as two women who have recovered from chronic health problems – was supporting women on their healing journeys, by integrating the tools that most helped us to heal, with supportive circles of sisterhood. Women’s Wellness Circle is the offering that was born from our deep winter visioning. 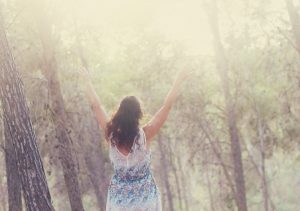 Having spent years supporting people with Chronic Fatigue, Fibromyalgia and other chronic health problems, Frances brings her expertise in the areas of EFT (Emotional Freedom Technique) NLP (Neuro-Linguistic Programming), Amygdala Retraining and various forms of bodywork to provide powerful tools for change and healing. As a devoted yogini, Restorative Yoga teacher and Women’s Temple leader, I bring my passion for gathering women in potent circles of connection, to access and explore their own body intelligence and deep wisdom. The connection and rare intimacy of women’s circles initiates a flush of healing hormones in the female body, including Oxytocin ~ The ‘Goddess Hormone’ – the female body’s natural de-stressor. Our vision is to create nourishing, healing immersions, in the form of retreats and online programmes to support women to find their health and wellbeing again, in their own unique way. Little did I know that back in my hawthorn tree, I was experiencing my bodies first flushes of healing hormones! It is such a gift and an honour to be bringing some of that pure joy into all I do with Women’s Wellness Circle. I think the little eleven year old geek would approve.